“India 3”, a Varkala inspired collage measures 30cm x 46cm. It is mounted on mat board and unframed. This one was made in Varkala, in southern India. “India 3”, a Varkala inspired collage measures 30cm x 46cm. It is mounted on mat board and unframed. During my amazing and memorable time, in incredible India, I completed 5 collages. Varkala, in southern India was the catalyst for this one. 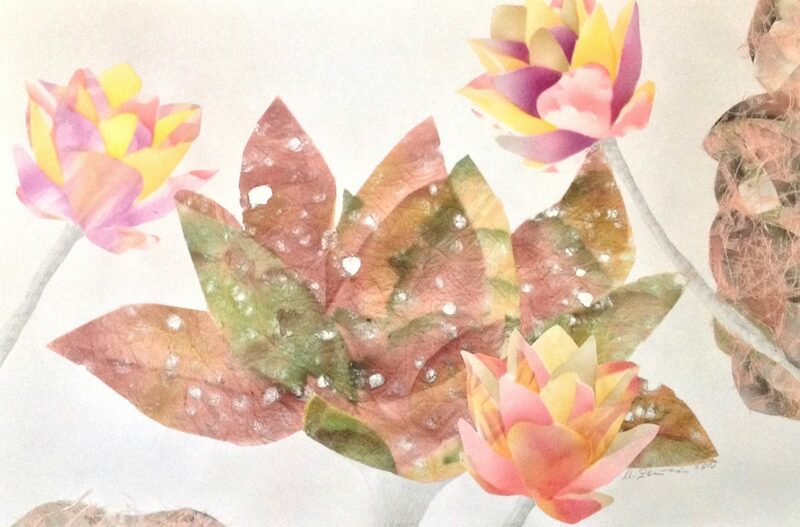 Abstract collage representing Lotuses on handmade paper, “India 3” is a unique art piece. I have integrated airbrush, pencil and coloured pencil drawing techniques. 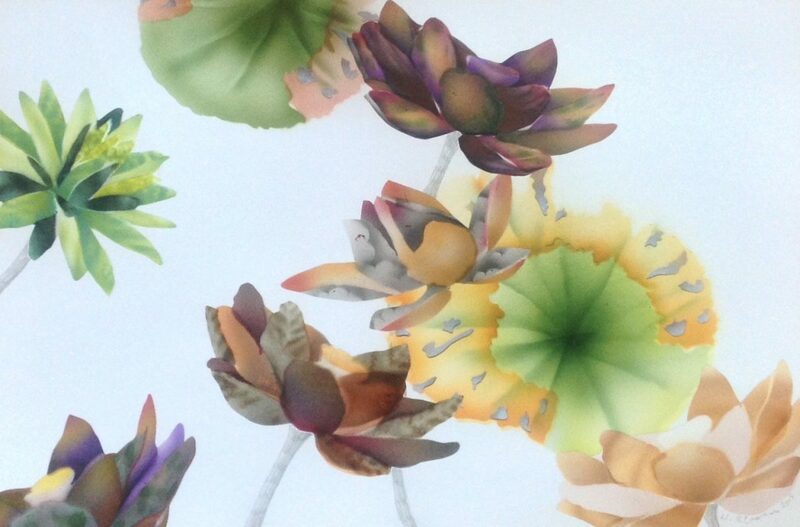 In all of my collages, I cut out some of my previously airbrushed Lotuses. And I also add pencil and coloured pencil drawing. Each collage is an original piece of art. Before embarking on my trips, I pack a small portfolio, which fits into the bottom of my suitcase. 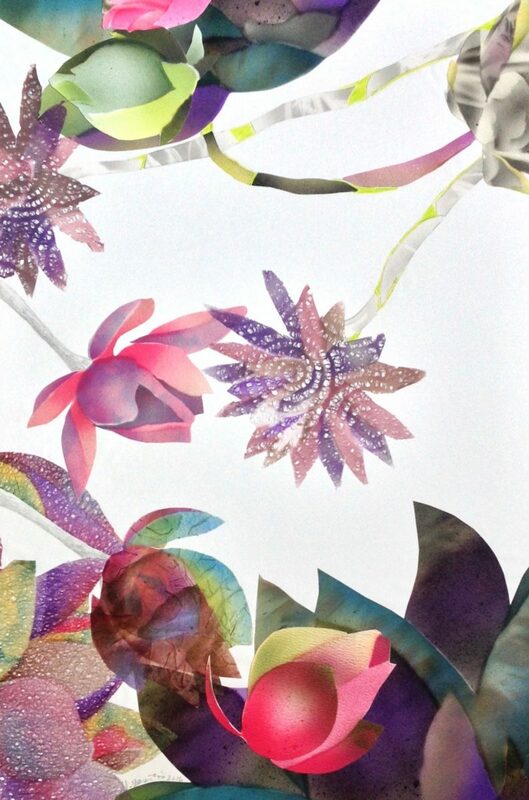 In it, I place paper, previously painted Lotuses, coloured pencils, scissors and glue. The listed price is for unframed work. If interested in having this unique art piece being framed, please contact me for framing options and prices. 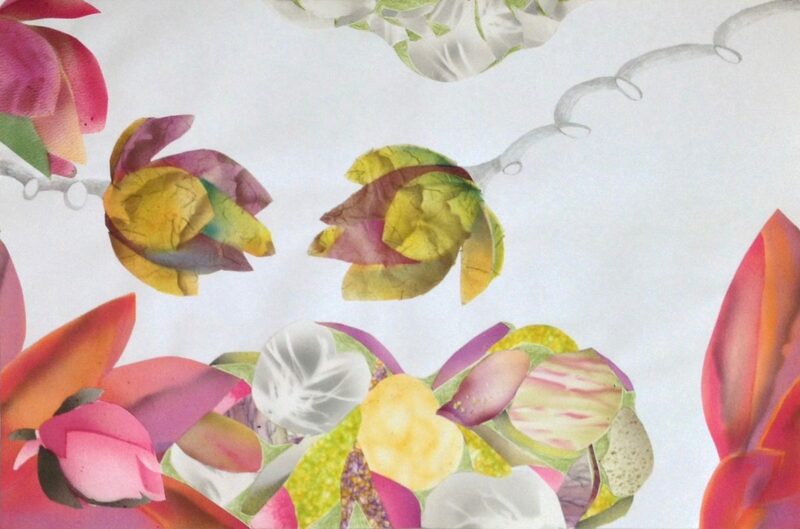 During recent visits to Hawai’i, Thailand and more recently India, I worked on a series of collages. The Lotus flower is my theme of choice. While in Hawai’i, I finished 4 collages and 7 during a later trip to Thailand (2015). 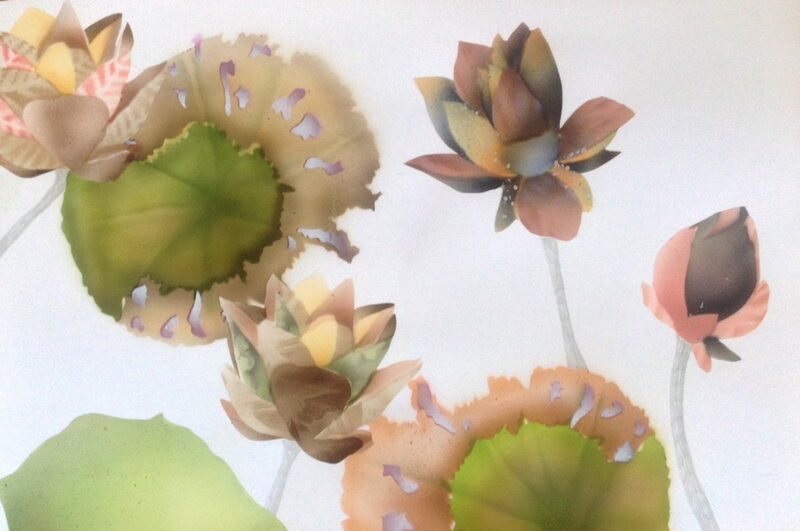 Prior to my trips, I painted over 100 Lotuses. 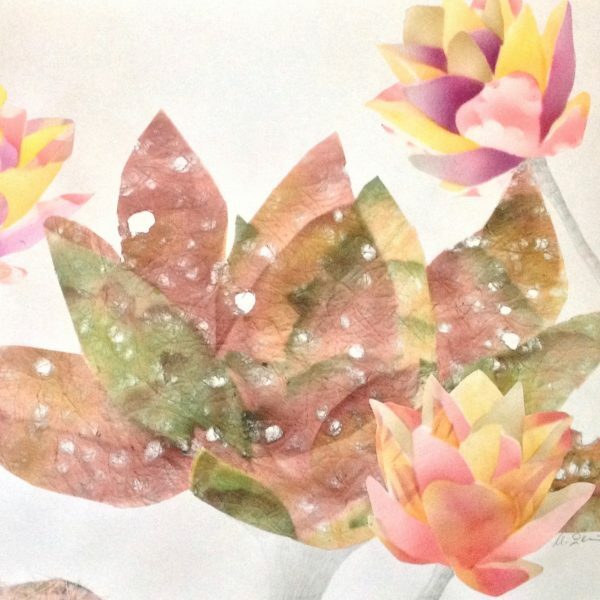 In the midst of my amazing and memorable time, in incredible India, I completed 5 collages. “India 3” was produced in Varkala, a lovely seaside town, located in the state of Kerala. Exposure to the vibrant colours of India lead me to use equally bright colours in this piece of art. Shipping is included on all orders over $200.00. I welcome any questions related to this item, from serious buyers. <p>Copyright © 2015 Maija Zemitis. All rights reserved.</p> Created by: Softext Publishing Inc.